Formula Cars are an interesting breed of vehicles to make safety belts for. 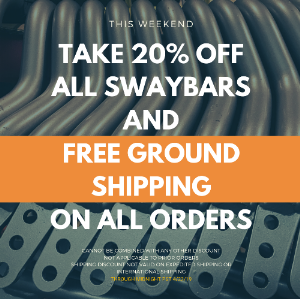 Most vehicles have limited space to work with, and in many cases drivers are sitting on the attachment points for their belts making snap in fittings uncomfortable. From Schroth’s experience in Formula One, their Formula belts have continually evolved into what they are today. A Traditional formula style restraint has a very unique method of transferring load from the sub straps to the cam lock. The sub straps are routed through D-rings sewn to the lap belts and then wrapped around the shoulder belt hardware. This allows there to be no hardware between the driver’s legs providing more comfort in the extreme confines of a formula car. All points of a Schroth formula restraint are bolt in. All points are wrapped in to allow maximum flexibility. Some chassis require different bolt sizes than others and to combat that, Schroth has developed lap belt brackets provided with sleeves of varying Inner Diameters to accommodate the most popular bolt sizes. This design also allows the lap belt hardware to pivot freely and find the best geometry. The HANS specific shoulder belts are designed to make HANS use safer and more comfortable. The belts start as 3" webbing at the cam lock, then after the length adjuster they are 2" webbing which fits completely on the HANS yoke. This gives you the optimal force distribution, entirely on the surface of the HANS. A standard 3" belt will work, however some of the load is not distributed on the HANS. This also can be a comfort issue with some of the webbing falling off the HANS. Another important feature of the HANS specific shoulder belts is the ability to move the anchor points towards each other to achieve the perfect installation geometry. This will help in the Post-Impact phase - very important in a rollover situation as well. This is much harder to do in a formula car where the mounting locations are generally in a fixed location, however just as important. If you are using a HANS device, the mounting geometry is paramount to its effectiveness. The Profi II Formula HANS features the 2" lap belt as well. The main premise behind the 2" lap belt is one of added safety. A 2" belt rides within the crest of the human pelvis where a 3" belt would rest on the edges. This allows you to get the belt up to an inch and a half tighter. That means the lap belt will be working earlier in the accident event because it gets loaded faster. It's also more comfortable and easier to adjust becuase there's less friction through the adjuster. 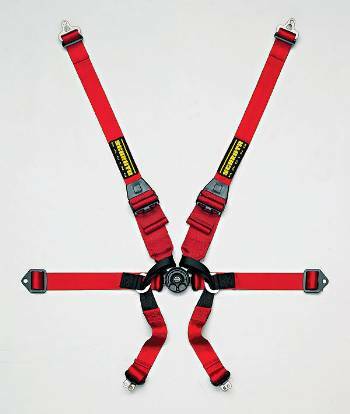 One other feature of Schroth’s formula restraints is the absence of a length adjuster on the lap belt. This allows for use in very tight confines where such hardware would not fit. Length adjustment on the laps is set at the wrapped in end fitting.